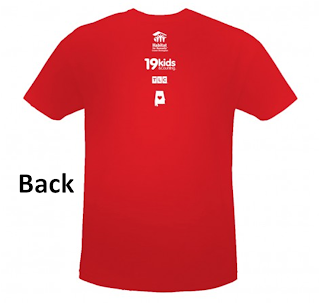 The Duggars wore these red T-shirts while rebuilding homes in Birmingham, Alabama, earlier this fall (shown in last week's episode of 19 Kids and Counting, "Do Good Duggars"). Now you can own one, too! The best part is that $10.50 from each sale is donated to Habitat for Humanity, the organization that the Duggars partnered with. This promotion runs until December 31st (just in time for holiday gifts!). 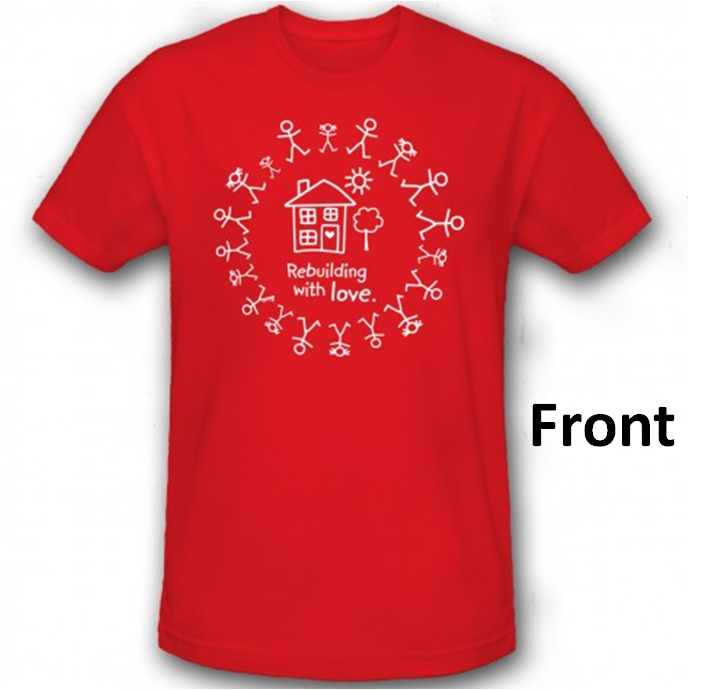 Visit the TLC store to purchase. I'm from that part of Alabama. I loved that episode, those shirts, and that Discovery Channel threw in so much help! The Duggar's space camp episode will air in the new season sometime around January it was going to be apart of the "Do good Duggar's" episode but their producer has decided to make it a full episode. I am a 40 year old man living in California. I am so happy that your family carries the beacon for our Christian faith on the TLC channel. The way you live your faith makes me realize how I should live my life. Thank you for encouraging a middle aged man. God bless you all!! !